What is an Anterior Cervical Discectomy with Fusion (ACDF)? 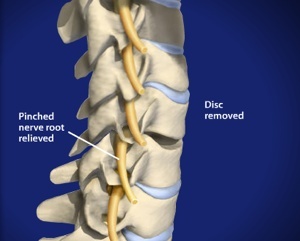 Your healthcare professional may recommend an ACDF if you are suffering from disc herniation or degeneration in the upper part of the spine known as the cervical area. The Anterior Cervical Discectomy is a procedure that involves surgically entering the front (Anterior) of the neck (Cervical) and removing a damaged cervical disc (Discectomy). 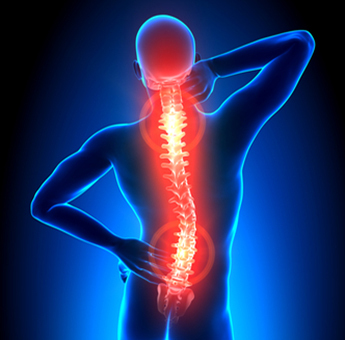 Implants of bone and/or metal are put in place of the damaged disc and act to fuse the two vertebra together. Your healthcare provider can review the exact symptoms and causes that apply to you and why you may be a candidate for the Anterior Cervical Discectomy with Fusion. The bone graft is inserted between the vertebra, in the space made for it in the previous step. 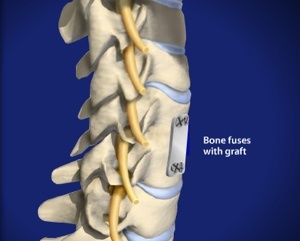 The bone graft binds with the vertebra, growing together to help stabilize the spine.